Is it possible for a set of APIs to fundamentally impact the future of a country and its 1.2 billion citizens? That’s the promise of India Stack, a set of APIs that are an outcome of the Government of India’s Digital India strategy to “transform India into a digitally empowered society”. When I first heard of India Stack a few months ago it was one of those “a-ha” moments, like in 1993 when someone said to me “have you heard of this new thing called the world wide web?”. As I looked deeper into India Stack, discussing its impacts with people like Gireendra Kasmalkar and reading books such as Rebooting India by Nandan Nilekani and Viral Shah, I became increasingly excited and amazed at the opportunities that India Stack enables. Indeed, the people behind India Stack such as Pramod Varma have called it a “market-maker”. But before we get into the opportunities and markets that can be made with India Stack, let’s put it into some context. As a foreigner who has been active in the Indian market for the past decade, it’s easy for me to forget how little is known about India in western countries. So, let me set the stage, at a high level. 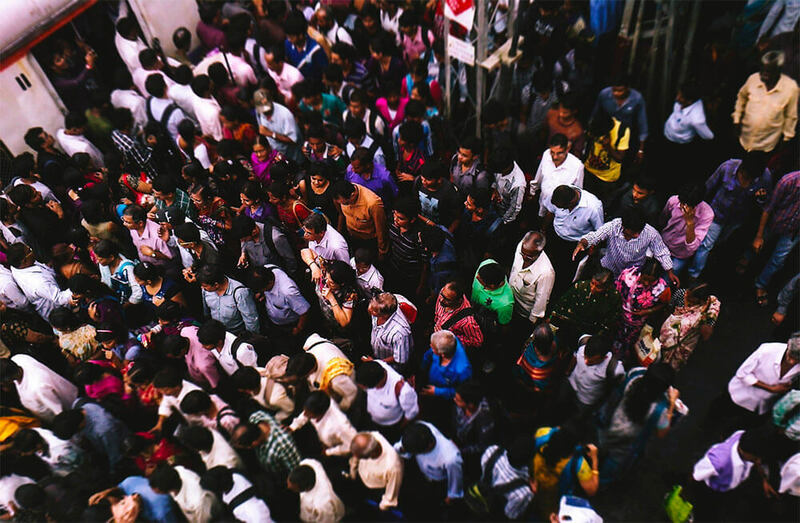 India has 1.2 billion citizens, plus or minus 50 million. To put this into perspective, the entire population of my home country Canada, 35 million, is less than the rounding error of the population of India. The demographics of this population is largely rural, more than 800 million, but with rapid urbanization and migration to cities. As some of you might know, India has a famously huge government bureaucracy that until a few years ago was largely paper-based. Corruption is also a concern; in 2008, 40% of Indians reported firsthand experience in paying bribes to public officials. The citizens of India have multiple sets of IDs depending on which government department they are dealing with. Or no ID, in the cases of “India’s invisible millions” of rural poor. Additionally, in 2010 it was estimated that 600 million Indians did not have a bank account. In summary, a huge population, largely rural but rapidly migrating to cities, a confusing set of identification programs, half the country’s citizens without bank accounts, and a bureaucracy that can move at a snail’s pace and is subject to corruption. This was the state of affairs that the Indian government faced, while at the same time knowing that it needed to move fast to raise people out of poverty, ignite an economic growth engine and realize the opportunity to become a global powerhouse. At the same time an enabling technology was becoming pervasive in India: the mobile phone. This would prove to be a lever to success. 2. Electronic Know Your Client (e-KYC) and eSign – access to financial services through paperless authentication and to digitally enable the signing of documents. The results? In the past five years, almost 1.1 billion Indians have been enrolled into Aadhaar. In the past two years, over 260 million Jan Dhan bank accounts have been opened by people who previously never had a bank account. And in the past few months the UPI payments gateway has gone live. Add to this the fact that India now has over 1 billion mobile phone subscribers. Consent Layer – Which allows data to move freely and securely to democratize the market for data, but only with the consent of the individuals involved. Imagine, for the first time in history, over one billion citizens suddenly enabled to engage with government and industry of all types, securely, in a way that encourages inclusion and discourages corruption. All with the benefit of speed of service delivery, reduction in corruption, increased security and inclusion. This is the tip of the iceberg. The vast number of use cases for India Stack have yet to be thought up. The opportunity for startups to develop applications using India Stack is immense. Equally so is the opportunity to develop applications that have the ability to positively impact the lives of hundreds of millions of people. So too are the investment opportunities to fund and equip these startups for success. It is with this in mind that Alacrity India, our startup fund, will focus on leveraging India Stack with a view from the small towns and tier-2 and -3 cities, working with good colleges, solving local problems with local solutions, and then going global. A bit of background on us: our Alacrity ecosystem funds, mentors and scales technology startup companies around the globe, providing them and their entrepreneurial founders with intellectual property, partnership, channel and customer opportunities that translate into a far better than average chance to succeed. Our first Alacrity incubator/accelerator was formed in Canada in 2009, bringing the deep expertise, experience and resources of technology investment management and holding firm Wesley Clover International (wesleyclover.com) together with local, like-minded partners/investors, governments and academic institutions to provide a vehicle for attracting, funding, mentoring and growing fledgling technology startups and turning them into globally competitive, investable firms. As recognition of our success, in 2016 our Alacrity operation in Canada was named by Gust as one the top ten startup accelerators in the world. The model was quickly refined and replicated in South Wales in the UK, with a focus on charitable incubation opportunities for local engineering and business graduates. The for-profit model was then replicated in Istanbul, Turkey together with partners, government programs, mentors/advisors and post-secondary graduates there. Since then, the model has been initiated in parallel in Lille France, Mexico City Mexico, Singapore, Jakarta Indonesia, Shanghai China, and Pune India. Each regional fund operates with the requisite degree of local autonomy and flexibility, but is supported heavily by the global Alacrity network and a shared vision to create significant local and global economic and social impact. By leveraging India Stack, the opportunity to bring impactful change is imminent, and our Alacrity India fund will be there to guide a select group of startups.